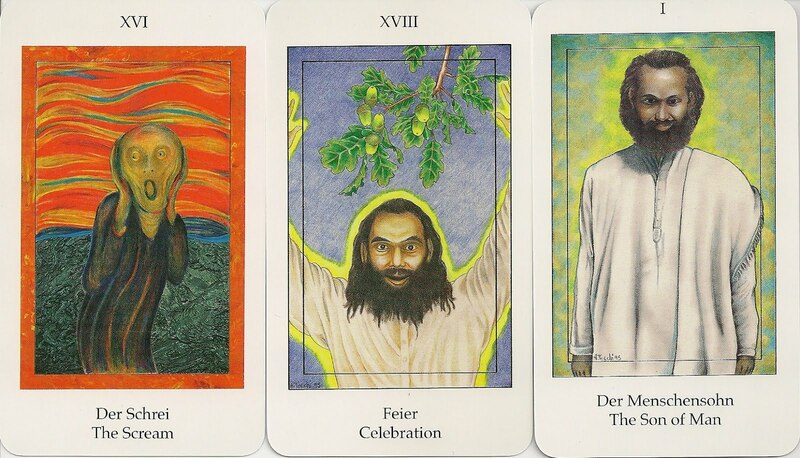 It is a not-so-tarotlike tarot. The booklet says "This is a work for the Master Jesus". The 22 Major Cards of the Master Tarot are often, but not always, parallel to the traditional Major Arcana. Instead of Minor Arcana, the deck has forty Minor cards and sixteen People cards. The Minor cards are based on sayings of Jesus.